Last season Nepenthes and NOMA t.d teamed up on shirting (Needles construction, NOMA t.d print) this season it’s Engineered Garments’ turn. So far the only proof of the collaboration is over at Japan’s Digital Mountain. There’s a beret. Which is, well… a beret. And there’s this check and smudge collision all over a signature EG bucket hat. It’s seemingly reflective of the entirely red and black subsection of EG’s AW18 collection and it’s a bold print no doubt. 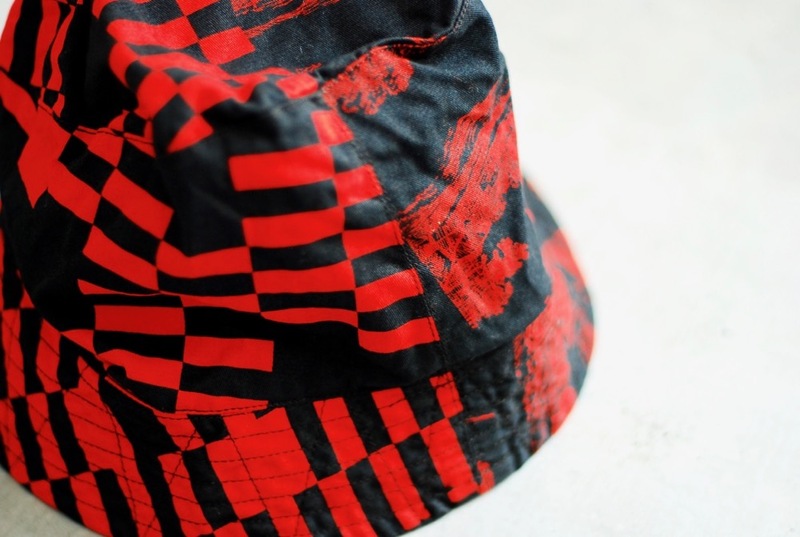 But to those in the know, the purchase of an EG bucket hat comes with its own particular set of complications. 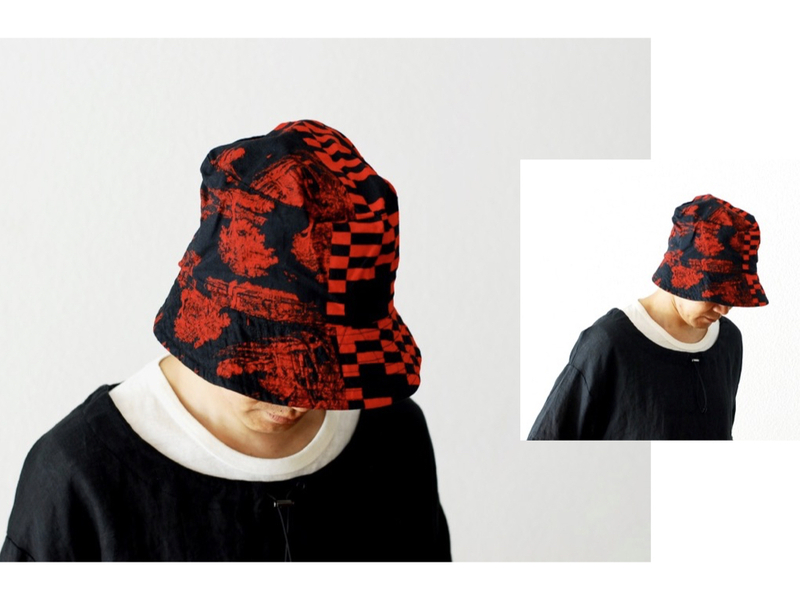 Off the head, an EG bucket hat looks rather like a bucket hat. On the head, the hat’s perverted disregard for what a bucket hat usually looks like becomes clear. Simply put, there’s too much hat for a human head. The brim, while ample can be lived with. The dome, on the other hand, is happily absurd. It’s capable of transporting an unnatural volume of cerebral luggage – the combined boncery of Will Ferrell’s Megamind and Hulk botherer The Leader would struggle to fill this out. Those with a more conventional amount of forehead are forced into a choice. Simply wear it as EG top man Daiki Suzuki intends; proud, tall and distinctive. Or spend all day tugging at it, trying to flatten the fabricated tor, so it squishes a bit closer to the top of the head. I have attempted this practice myself and find that for an inanimate object, it’s irritatingly quick to reform itself into a gravity defying cloth precipice. You may have more luck. I love EG. I love NOMA t.d. But I still reckon that this is the only hat guaranteed to give you a headache. Engineered Garments, Nepenthes, NOMA t.d.